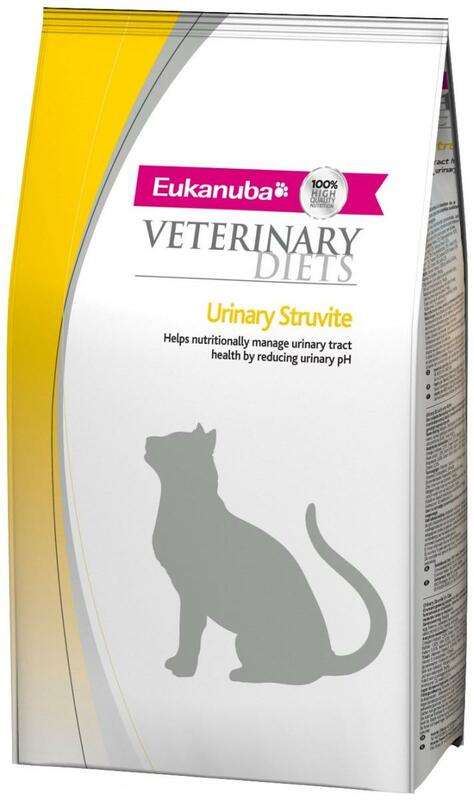 Eukanuba Urinary Struvite Formula is a diet designed to nutritionally manage struvite related FLUTD. 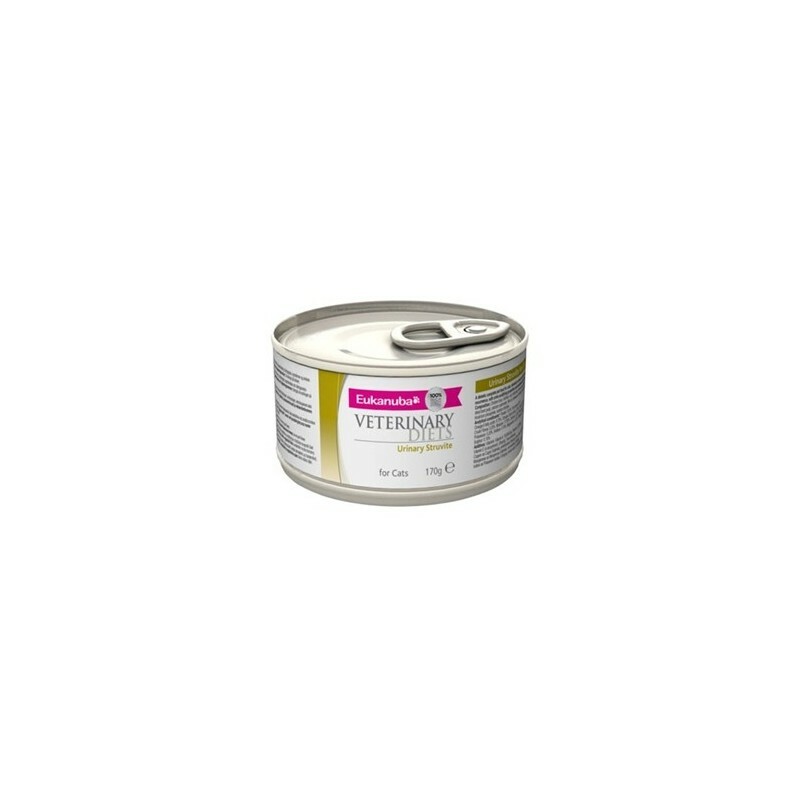 Struvite Urinary Formula increases the acidity of your cat's urine and reduces the mineral concentration, making struvite crystals less likely form. It also provides nutrients to support overall health and well-being. Chicken liver, chicken, rice, white fish, chicken meal, dried whole egg, dried beet pulp, calcium carbonate, fish oil, potassium chloride, brewer’s dried yeast, tricalcium phosphate, sodium chloride. 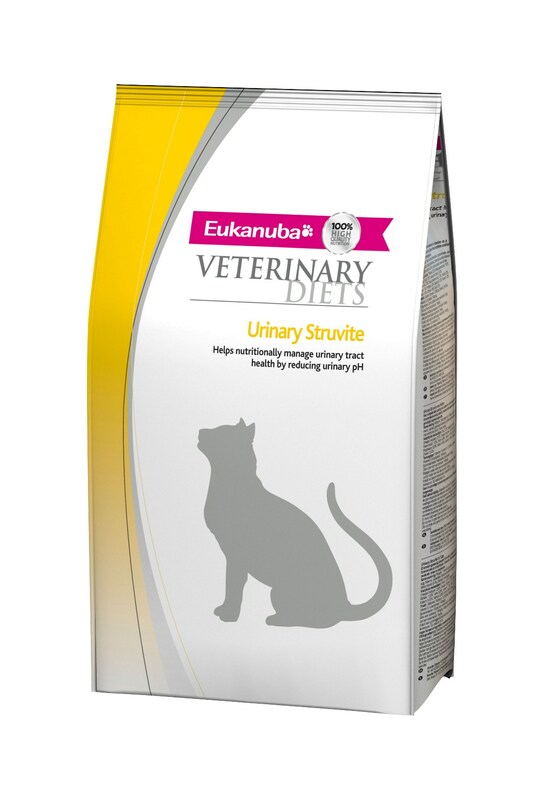 Below are some recent questions we've received regarding Eukanuba Veterinary Diets Urinary Struvite Cat Food, including answers from our team. Had the Hills C/D the R/Canin and he has now gone off Purina OX/UR thinking of trying the Eukanuba but would like some feedback re other customers and the variety it comes in. Thank you.